Summertime brings visions of fishing, swimming, golf, picnics and getting away with families and friends. But summer can also bring down upon us the nightmare of power outages, brownouts and other disasters that result from a power grid under severe strain. 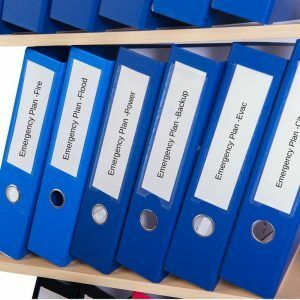 Your business or facility must have a functioning disaster recovery and contingency power plan in place before disaster strikes. Key people take vacations. Disasters don’t. If yours is a well thought out emergency response plan, it puts the right people in charge of its execution. But, those people take vacations. Disasters don’t. And your contingency plan does not get to take a week or two away, either. Now is the time to take steps to make sure your power plan covers when key people are on vacation. If a key person is away, implement a “next man up” strategy that names a substitute player. Say for example, I’m William. As a member of your Emergency Response Team I head up the supply squad. In the event of a serious breach to your facility, I know where we can put our hands on flashlights, a battery operated radio, batteries, candles, matches, a first aid kit, blankets, and emergency supplies of food and water. But, when that July 9th brownout blows out power, I’m on the Jungle Cruise with my family in Disneyland. Make sure my substitute is on station, informed, and prepared. And what about Grace? Because she is the supervisor who managed the installation of your new generator, you put her on the Damage Assessment and Recovery Team. She oversees generator maintenance, knows the people at the generator service company and knows who to call to get an emergency rental in case power will be out for an extended period. Grace is just the kind of person you expect has already worked out a plan with the generator service supplier to address a power failure. But wait. Grace is just now on her longboard, rising up to the backdoor of a peaking wave out at Ocean Beach. She’s amped, but she can’t help restore power to your plant. Make sure the “next man up” knows what to do. Thinking about disasters – they do happen. And contrary to popular belief, they don’t happen only to others. This may be the time to review your entire disaster recovery and contingency plan. Ask yourself, does the plan measure up to the range of threats from fires, storms, civil disturbance, and more. Does it even address the kind of cyber-attack that recently threatened nations around the world? We can help you. At CD & Power we have prepared an all-encompassing guide to building a recovery strategy. Check out the short video and the PDF below for more information. If you already have a plan in place and have assigned teams to address each situation, good work. You have put your first team in charge. Make sure you have a “next man up,” backup plan.